but also feed any excess electricity you produce back into the grid. 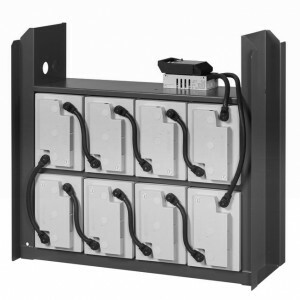 The VOLTACON 5.5kWh-22kWh system consist of a Combi Inverter/ Charger, a pre-built box with batteries and photovoltaic panels, it is particularly easy to connect the storage system to a PV installation and integrate it into the domestic electrical system. The components can be delivered either separately or pre-mounted in a standard industrial cabinet. Residential Energy Storage is the most reliable solution to store energy generated by your renewable sources for residential consumption. RES has been specifi cally designed to ensure you optimise the efficiency and performance of your PV/ wind system. In fact, by storing your own energy independently not only will you reduce your electric bill, but also avoid having to feed any excess electricity you produce back into the grid. Lead Acid Battery Pack with fuses, cables, and isolation switch. Thanks to its high energy density from 5.5-22 kWh, your house will always have the sufficient energy it needs to run, even during cloudy conditions. 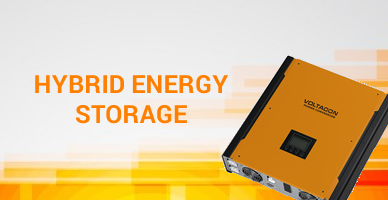 In addition, RES also functions as a reliable emergency UPS system by ensuring backup power supply in the event of grid disturbances or failure. Your Benefits Being Independent from Energy – Total control of your electricity ! The cables, monitoring software and endless technical support from Voltacon are also included in the package.